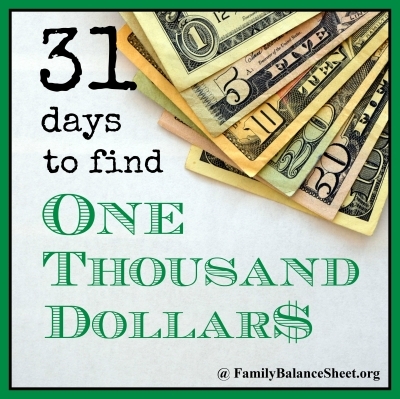 A few years ago a local jewelry store ran a newspaper advertisement with the headline, “Holiday Cash-Fast!”. They were holding a special gold buying event just in time for the holidays. In need of some fast Christmas cash, I gathered up some unused gold jewelry, loaded the kids in the car, dialed the address in the GPS, and set out for some adventure. I didn’t have a lot of jewelry: two broken 14 kt herringbone necklaces, a matching 14kt necklace and bracelet set, a couple of pairs of 14 kt earrings, a 14 kt charm and a 10 kt necklace. None of it had been worn in years. As I was driving over to the store I thought that if I walked out of the store with $40 in my hand, I would be happy. I didn’t have anything to base that amount on it was just a number that I pulled out of the air. 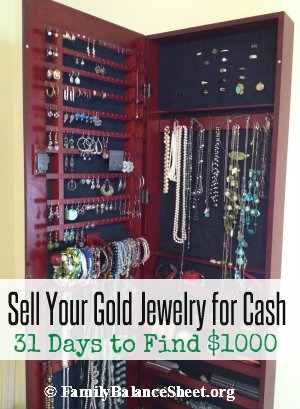 My jewelry had been sitting unworn in my dresser since the early – mid 90’s, so I was excited to cash in on my clutter. When I arrived at the store it was empty so the owner was able to help me right away. As she was looking over my stuff, a camera crew from a local station walked into the store. I noticed that the reporter was holding a copy of the same ad in her hands and the first thing that came to my mind was, “Thank goodness I showered and put a little make-up on this morning”, LOL!! The reporter asked if she could ask me a few questions while the owner went to weigh my loot. Since I looked somewhat presentable, I was happy to talk to her. She asked me how I heard about cashing in on gold. I told her about the ad that I saw and the pile of jewelry sitting in my bedroom for over 13 years, and I figured, “why not, it was worth a try”. The owner came back to me with a big smile on her face. She said that she would give me $150 for the jewelry. Honestly, I about fell over. That was beyond what I expected. It turns out those broken chains came in handy. I was very excited, because this really was Fast Cash!! If you are thinking about cashing in on your gold, look for a reputable jeweler. The owner of the store that I went to has been in the business for over 30 years and has a good reputation in the area. I could have tried to sell the unbroken pieces online, on eBay or Craigslist, but this was definitely instant gratification. You may decide it is worth it to try to sell online. I also could have taken the pieces to several jewelers and gotten the best price, but I was happy with the $150 and quite honestly I didn’t have the time to comparison shop. The pieces I had were 10 K and 14 K, but mostly 14 K. There is more gold in 14K and even more gold in 18 K. The money you get back will be based on the actual gold in your pieces, but you will NOT get what the current price is for an ounce of gold. I didn’t get into the details of the weight of the jewelry I had and the price she was giving me. I could have, but quite honestly $150 is beyond what I expected and my kids were losing their patience. If those details of weight and price are important to you, ask the jewelers what price per ounce they are giving you. Get to the store right when it opens, before a crowd comes in. I was there right when the store opened and several people filed in after me to also cash in their gold. There is some time involved as the jeweler needs to look over the jewelry, make sure it is gold and weigh the pieces. It was a fun morning for me and my girls, and my oldest daughter got a kick out of seeing us on local evening news. I was grateful for the extra cash for the holidays, and that I decided to put some make-up on that morning! If you have an unused gold pieces laying in your jewelry box, it might be worth researching if any local jewelry stores are buying back gold pieces. Start calling around to the local jewelry stores to ask and let us know how you make out. Good Luck!